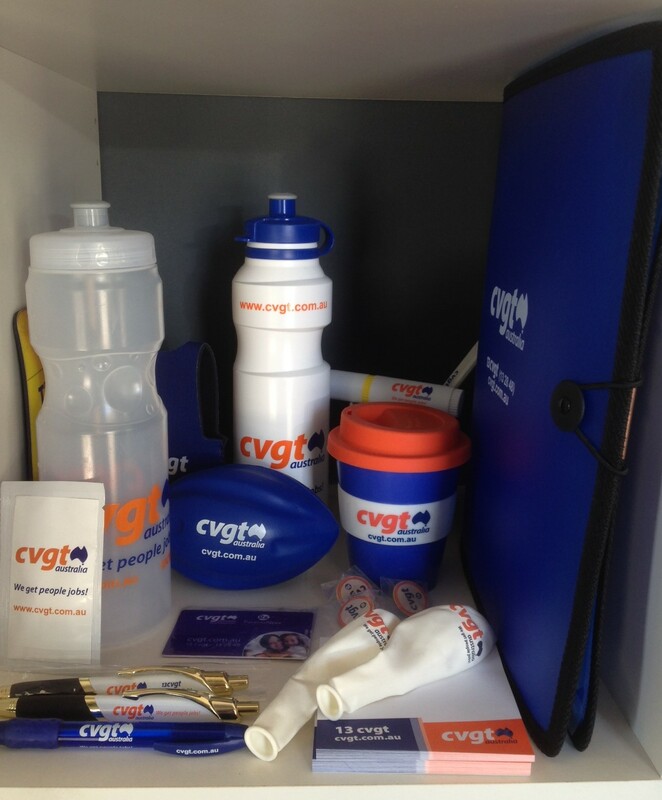 Proud supplier of CVGT merchandise since 2003. Products that we have done over the years include metal pens and plastic pens, folders, stubby holders, sticky notepads, sunscreen, balloons, bags, "recognition of service" badges, drink bottles, highlighters, mugs, Keep cups, lanyards, banner pens, confectionery, printed satin ribbon for corporate gifts, adhesive phone screen cleaners, builder's pencils, tradies notebooks, standard and credit card USB devices, stress footballs, mouse mats, pull-up banners, tablecloths suitable for trade shows and teardrop flags. Email us for further details on any of these products.